Home VgamerZ OpinionZ Thief: What Happened to Erin? Thief: What Happened to Erin? 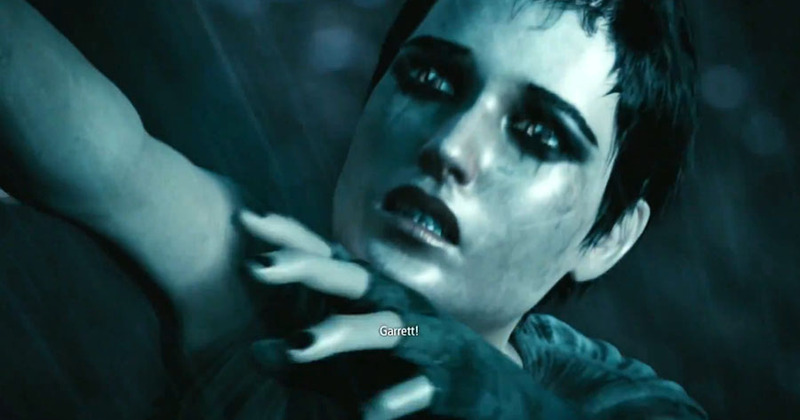 Square Enix’s Thief revolves around Erin and her mysterious disappearance after falling into an energy beam at the start of the game. Garrett’s attempt to save her was in vain and guilt has been haunting him ever since. As the storyline goes on, we learn about the existence of a magical entity with devastating powers, the primal energy, which is within Erin’s body since the incident. As soon as Garrett suspects Erin might be alive, he follows her old tracks in a desperate attempt to unveil the past and the truth itself. But in the end, no matter how many answers he finds, there’s always a ceaseless question – what has truly happened to Erin? That’s a question that has intrigued me endless times because everything related to Erin becomes an enigma, a supposition, a paradox… and the true facts only come out at the very end of the story. 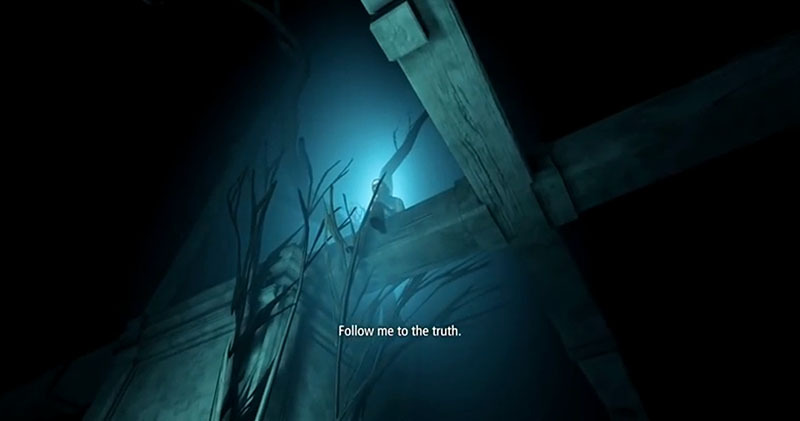 One of Garrett’s visions, where Erin appears and challenges him to find the truth. Garrett assumes Erin is dead but he knows something is not right. Since the incident things were never the same again. In fact, he can’t even remember where he has been in the past year. Eventually, he starts getting visions of Erin in a gloomy environment, where she is usually scared in pain and remembering him of how he let her slip away into the other side. At first, it appears to be signs of pure guilt kicking in but soon enough, we understand that there’s more into it. 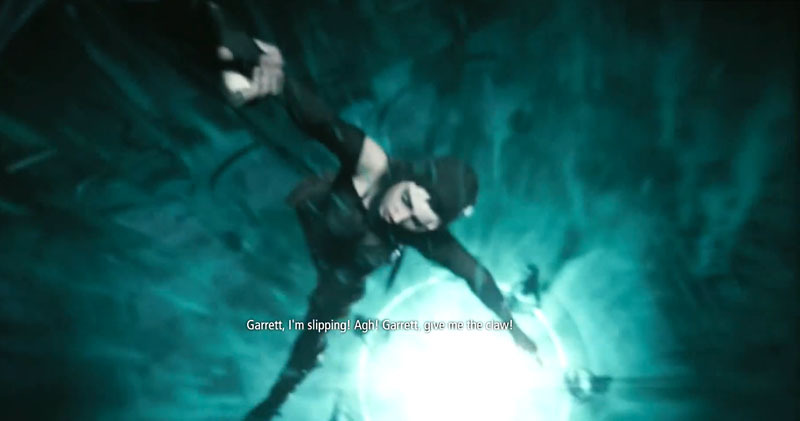 The supposed deluded visions are in fact messages from Erin herself that uses her primal energy to connect with Garrett. They were both exposed to the matter when it exploded, therefore Garrett’s eye changing to green upon his return. Erin survived but she’s a mere slave of a new identity – the primal energy. Erin didn’t die but she’s surely not the same anymore. The primal energy within her body transformed her into something… dark and malicious. It’s true that Erin is alive but she’s nothing more than a dull shadow of her old self. She became a living weapon, a terrifying being at the verge of breakdown. Her thief skills were replaced by the imminent ability of turning humans into husk freaks. However, this enigmatic magic is suspected to hold incredible powers when properly attuned. As so, Erin was held prisoner by Orion at Moira Asylum. He conducted innumerous experiments in hope to extract the energy from her body in order to cure the people of the gloom. This traumatic experience turned Erin into a wicked monster unable to control any type of feelings and emotions. Close to the end, it is unveiled that Erin holds a death sentence and it’s crucial to extract the energy from her body before it becomes too late. To perform this ritual the caster must rely on the primal crystal and the sacred tools (book and wand). Garrett is not ready to lose her again and he’s forced to fight a Primal Erin, who’s completely blinded by hate. She thinks the master thief wants to steal the energy for himself, so she puts all her powers into stopping the ritual. The storyline closes with Erin slipping away again but this time Garret manages to save her by successfully extracting the energy. Erin’s fate is not clear but everything indicates that she fell into the water and survived. The very fact that The City wasn’t destroyed reveals that the primal energy didn’t go loose. 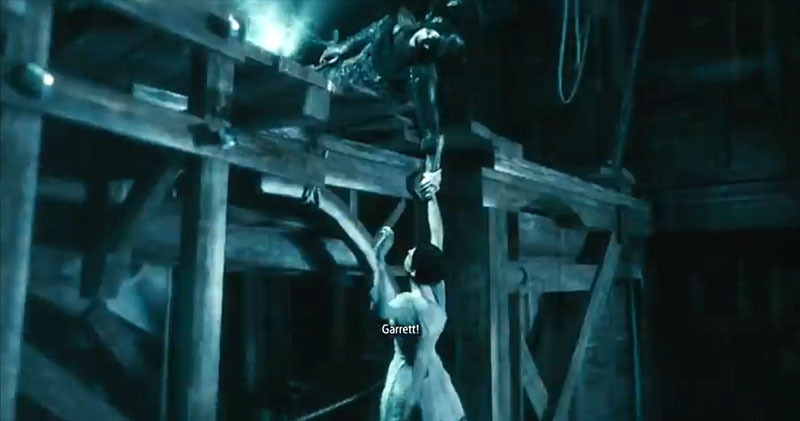 Furthermore, Erin’s claw reappears embedded in the wood beam close to Garrett, meaning that someone had to place it there. If there’s going to be another Thief reboot, then Erin is surely coming back. It’s not everyone who gets the luxury of having a second chance, for Garrett a second chance to save his friend and for Erin a second chance to live. Even if the whole concept has several loop holes, this is a great story of how friendship can move worlds and change lives. It’s also a remarkable lesson of redemption and attunement.